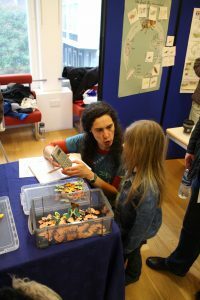 The Centre for Research into Ecological and Environmental Modelling (CREEM) is an interdisciplinary research centre that links the School of Mathematics and Statistics with the School of Biology and the School of Geography and Geoscience. 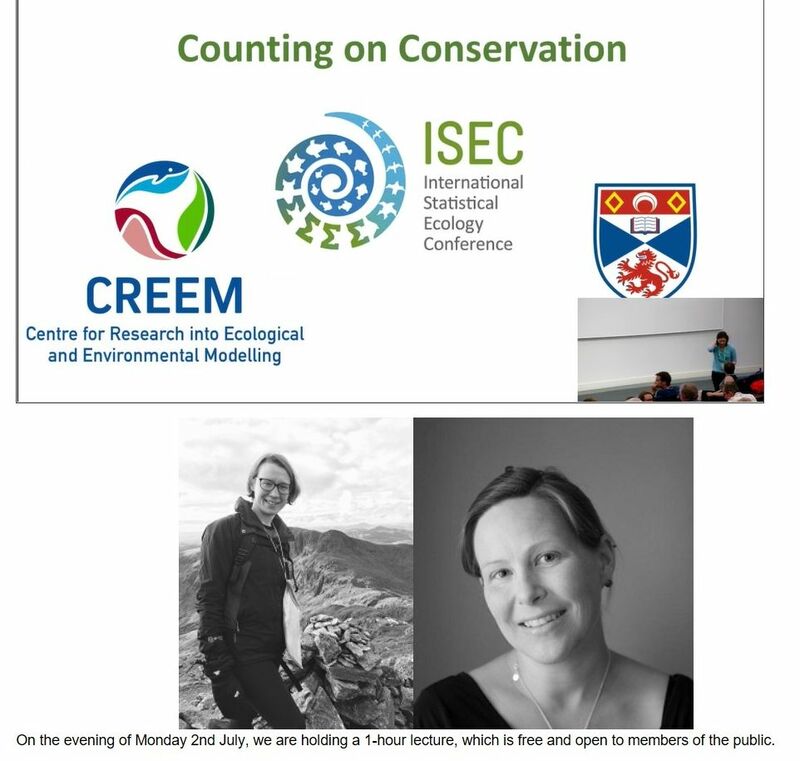 The main focus of the research within CREEM relates to wildlife conservation, specifically developing new statistical methods and applying them to issues in wildlife ecology and conservation. For example, CREEM researchers develop methods for assessing how many animals there are in an area (e.g., how many whales there are in a part of the ocean), assessing which habitats they prefer, evaluating how the population is changing over time, and investigating what might happen to populations given further planned changes, which might be good (introduction of a park or protected area) or bad (new pollutants or disturbance). 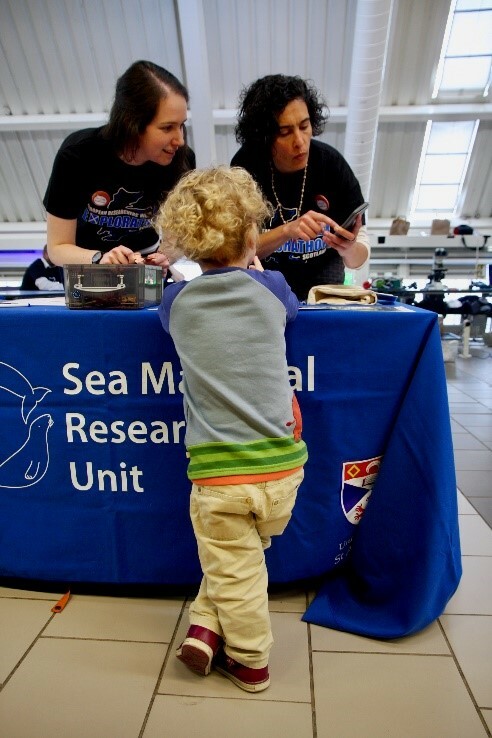 CREEM has been actively engaging with the public for many years and has a group of ~10 researchers who regularly take part in science festivals and visit schools, colleges and youth groups. 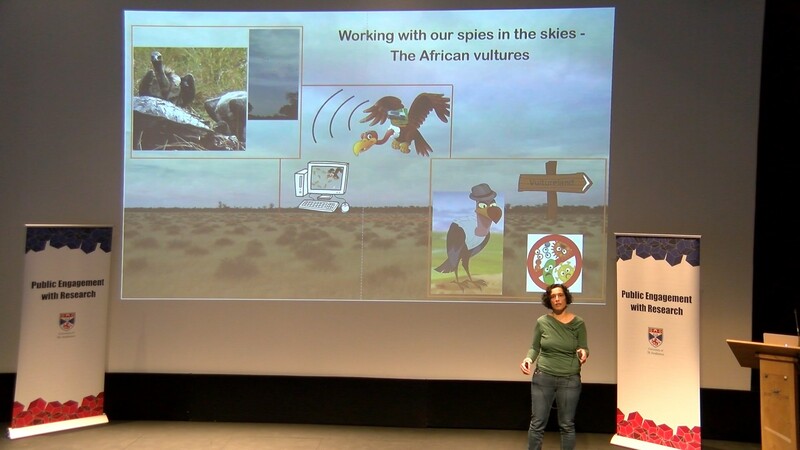 Activities/talks are mainly based around wildlife population monitoring and broadly aim to highlight the importance of quantitative skills within biological/environmental sciences. 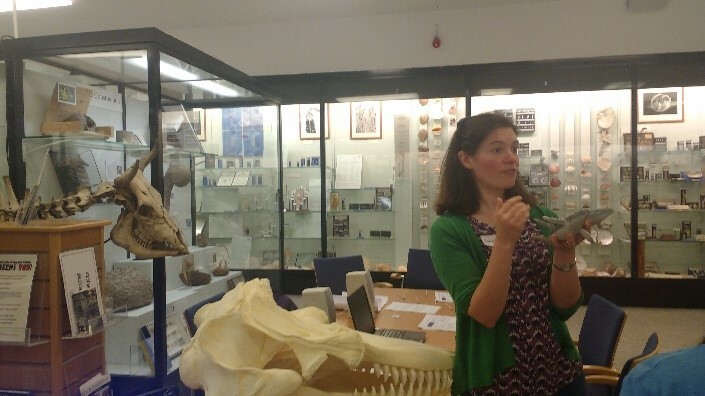 We have a suite of activities that can be delivered by any of our researchers. These include activities that relate to counting different types of animals (rhinos, squirrels, whales, seals, butterflies) using different survey methods (plot sampling, line-transect surveys, mark-recapture). 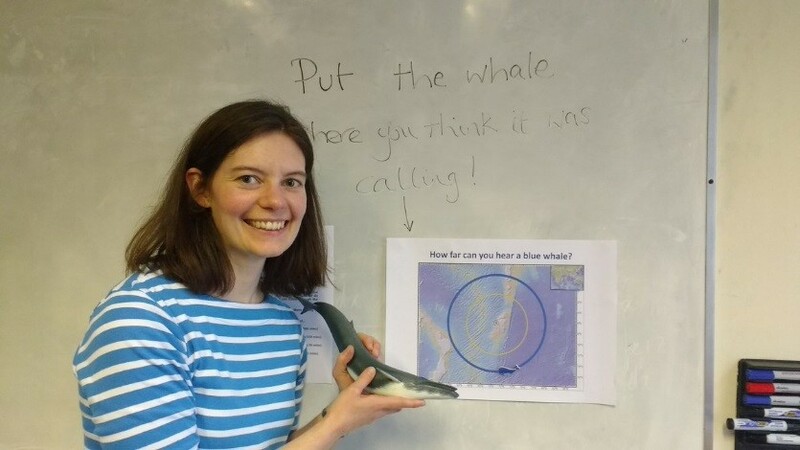 We also have activities that explore how far whales’ calls travel in the ocean and ways to assess biodiversity. 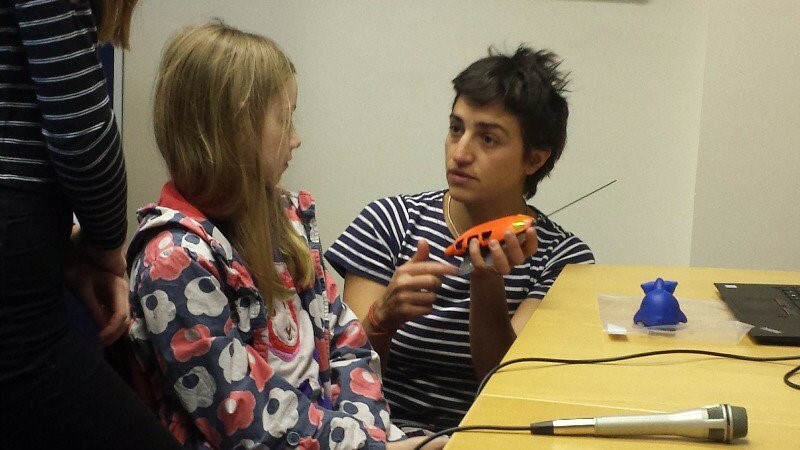 All of our activities can be adapted depending on the target age group. Finally we have our in-house mural that depicts all of the research areas in CREEM and there is an accompanying website and leaflet. To view the mural and find out more about the research then visit the Observatory building or http://creemmural.org/. 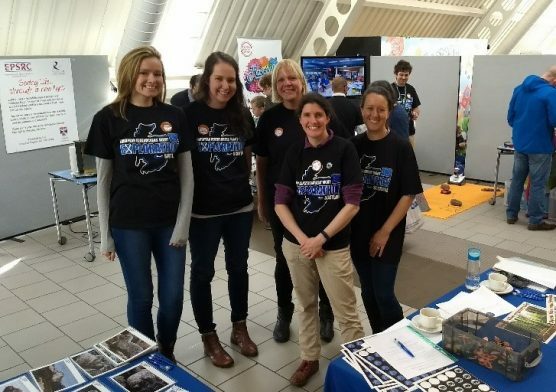 During 2018 CREEM researchers have taken part in events ranging from science fairs, public lectures, school careers fairs, supporting local youth groups (scouts and guides), workshops for school children and summer schools for prospective students. Some of the highlights are shown below. 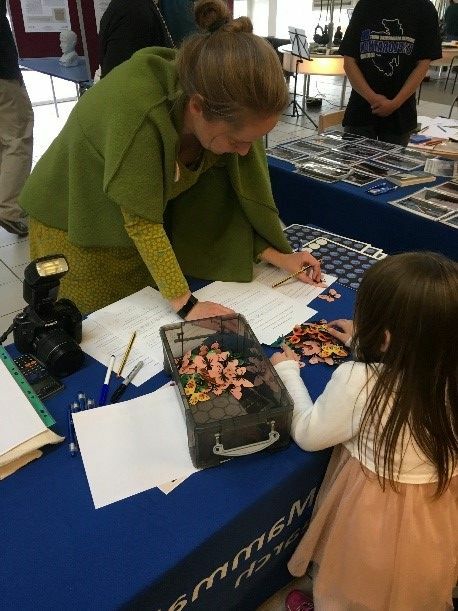 “Meet the Expert” event during British Science week, Dundee Science Centre- we ran activities demonstrating the estimation abundance of wildlife populations using different sampling methods. 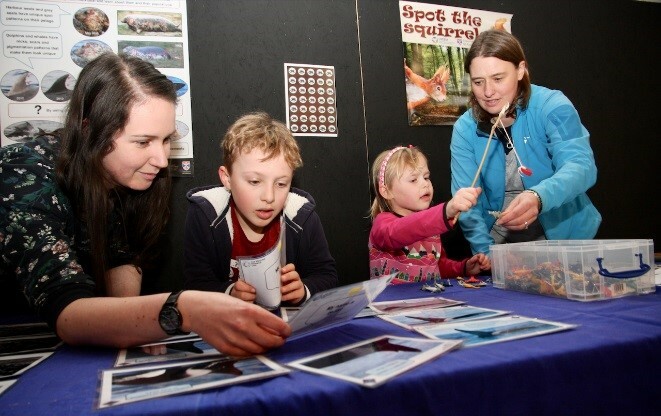 Explorathon – European Researchers’ Night , University of St Andrews and Dundee Science Centre – we ran various activities in partnership with colleagues from the Sea Mammal Research Unit relating to estimation of abundance of wildlife populations. 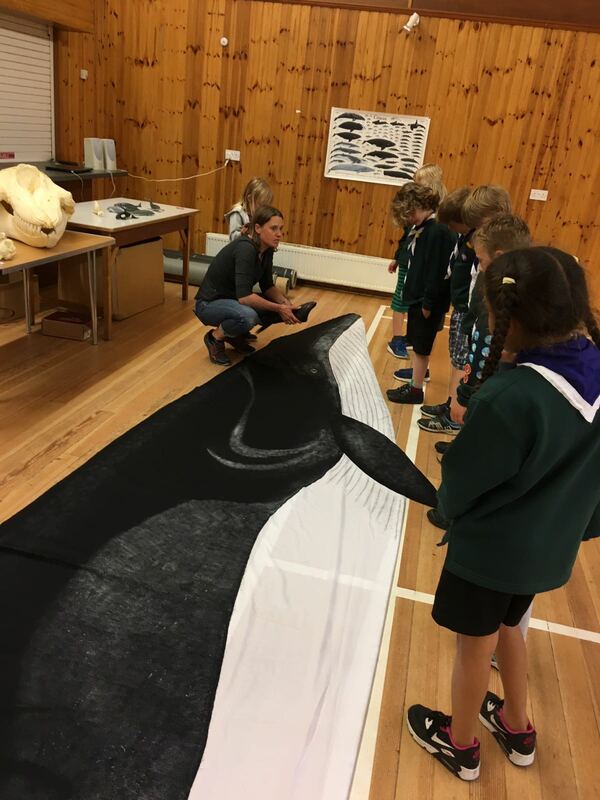 Researchers from SMRU (Debbie Russell) and CREEM (Catriona Harris) spent an evening with Strathkinness Cub Scouts helping them work towards their Scientist Badge. There was lots of fun with whale and seal skulls, whale sounds, identifying individuals with the SMRU photo-ID matching game and seeing how big a minke whale really is. We also played some games demonstrating noise pollution and learnt how hard it can be for animals to communicate when humans are so noisy! The CREEM mural, by Cornelia Oedekoven, shows a researcher surrounded by some of the species CREEM have worked on, together with the symbols depicting the models and methods used. For more information please go to the Mural Home Page. 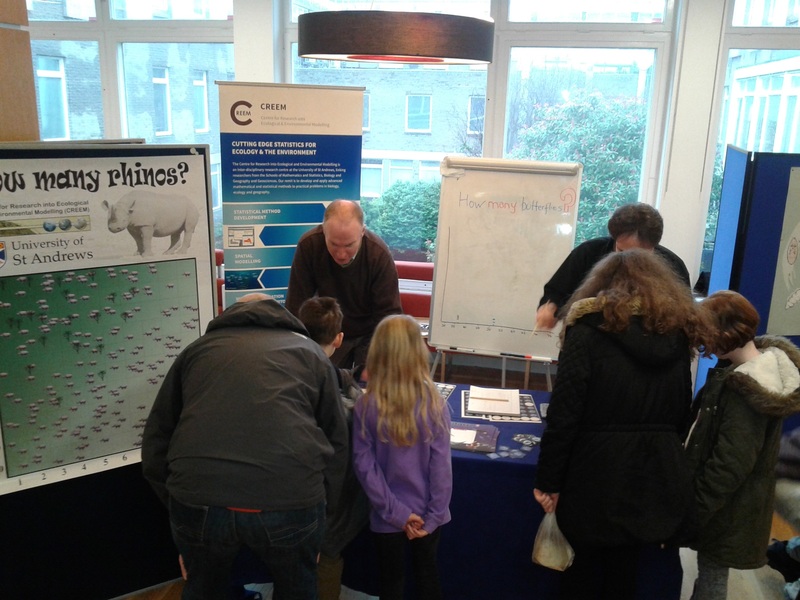 The Centre for Research into Ecological and Environmental Modelling (CREEM) had a research stand at the University of St Andrews Science Discovery Day event on March 4th. 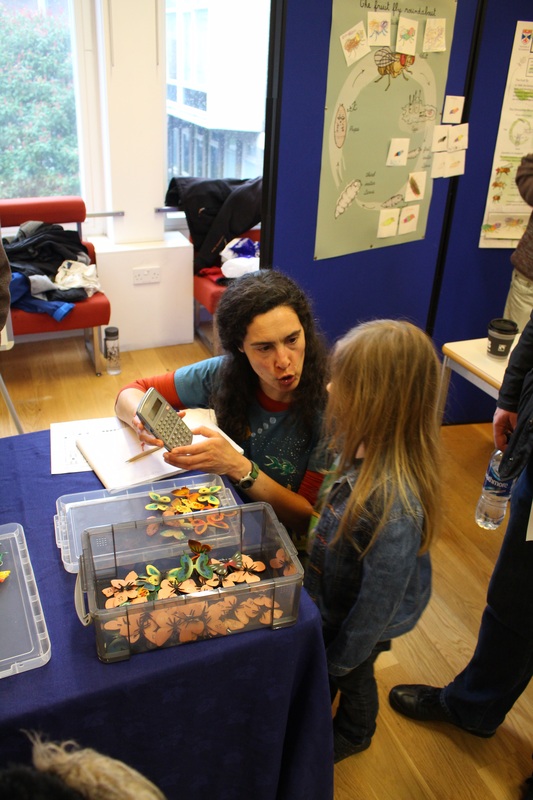 The “Counting critters” stand was manned by Charles Paxton, Claudia Faustino, Natacha Aguilar de Soto, Guilherme Bortolotto and Ursula Verfuss (from SMRU Consulting). 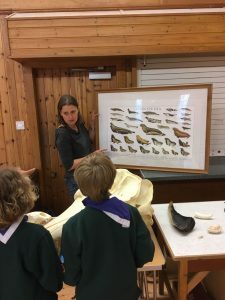 The group ran three different activities demonstrating different methods for estimating the abundance of animals and levels of species biodiversity. These activities relate to the work done by CREEM in terms of designing methods for surveying and sampling wildlife populations.